We celebrated Baby Jack at Natalie’s baby shower a few weeks ago. 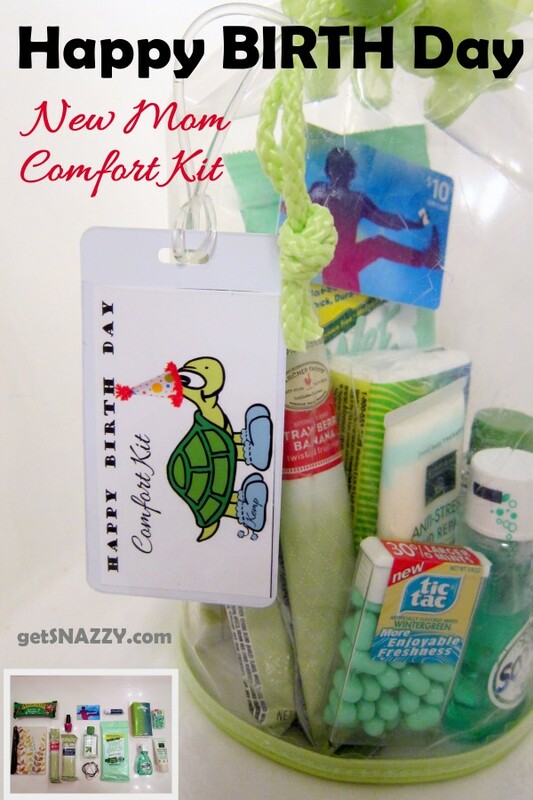 I made Natalie a new mom comfort kit to take to the birthing center / hospital. Snacks (granola bar, fruit strips), notepad and pen, nail polish, iTunes gift card, chapstick, Kleenex, breath mints, anti-stress lotion, mouthwash, face/hand wipes, hair ties. Update: Now that I use and love Young Living Essential oils I would add some lavender or Gentle Babies blend! Tender Tush would be a great addition too! What else would you add? I looked for a cute clear make-up bag, but I couldn’t find one that I liked and then I remembered this bag from a Johnson’s Baby Gift Set that I had received for both kids It was already empty so I added the new mom kit things instead. Remember this post? I looked back at my notes about what to pack for the hospital when I made this kit. I made the label and attached it with a luggage tag. FREE PRINTABLE- I made 3 options – pink, green and blue booties. Click to download each color in Google Docs. Let me know if you want another color! Feel free to personalize the booties with the baby’s name or initials! 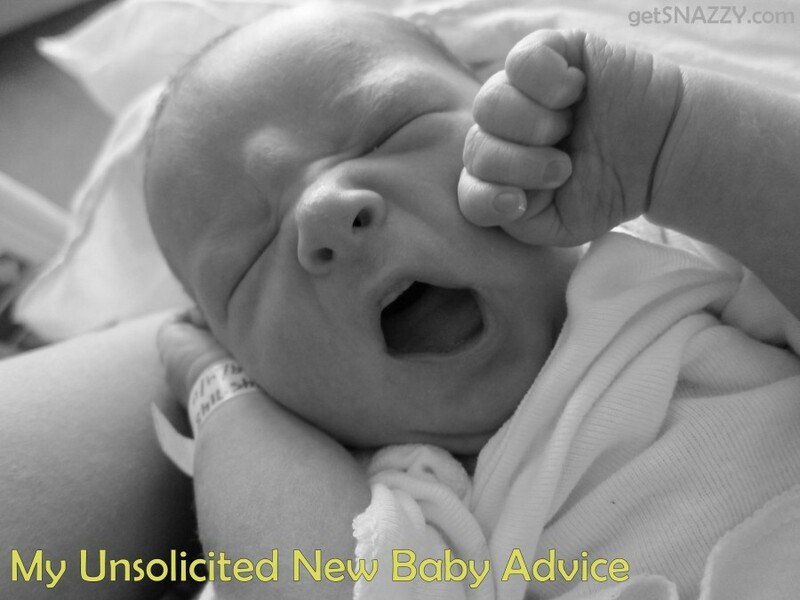 Check out my “Unsolicited New Baby Advice” too. What’s your favorite DIY baby shower gift? The shower decorations were so cute. Look at these awesome, easy party favors too! So far I have collected 1789 pins across 33 boards. Everything from recipes to organization to style to quotes and tips and everything in between. Pinterest has provided great entertainment and inspiration. I spent countless hours browsing- especially while I am nursing my little boy. The Pinterest app for the iPhone is fantastic, with one short-coming. It is very complicated to pin something new from a website on your iPhone. Until I found the Amber Pin app. It’s great! 3. 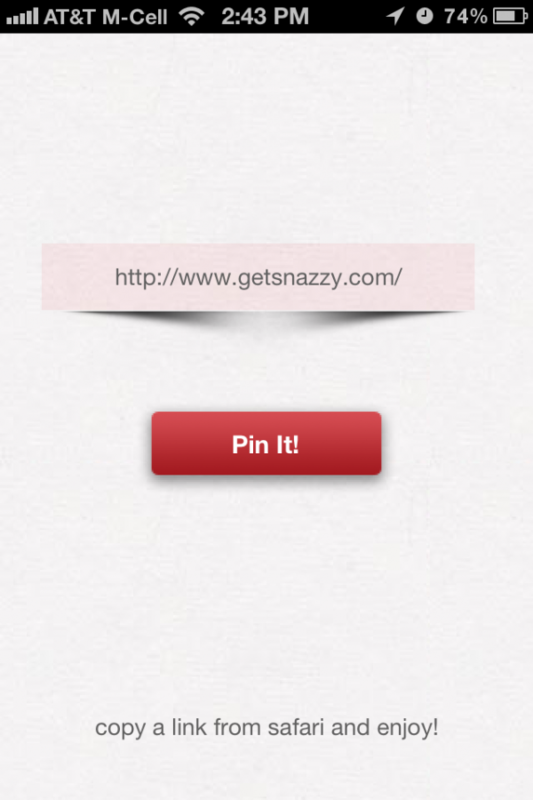 Open the Amber Pin app and the web address is automatically pasted! There are a couple of other apps that do something similar, but they were complicated or cost money and I had already paid $0.99 for this one and it works great. How do you pin from your iPhone? So many of my friends are having babies! You didn’t ask for my advice, but here are some notes that helped make the transition to a new baby a little easier (I wish someone would have told me about some of this sooner!) I don’t have a cure for no sleep yet, still working on that… happy new baby! 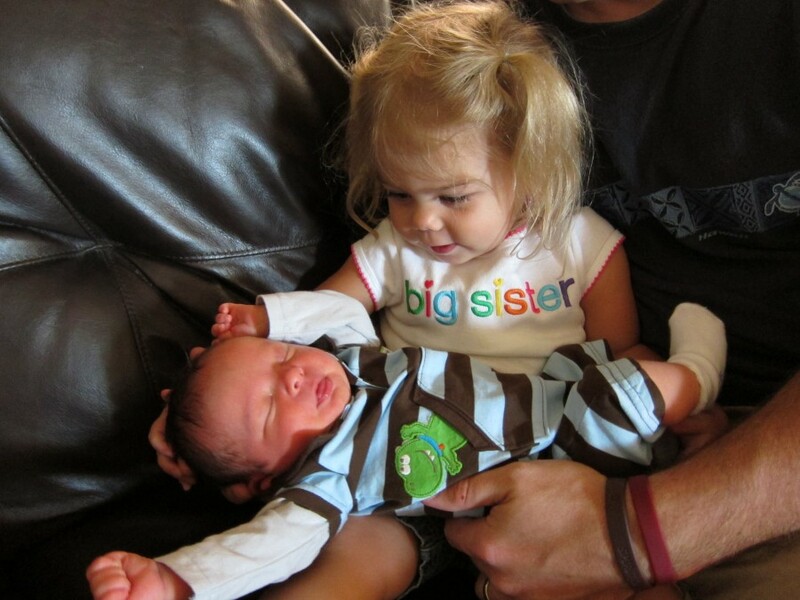 Now I have a 5 year old and a 3 year old – time files! What are your favorite baby things/advice? 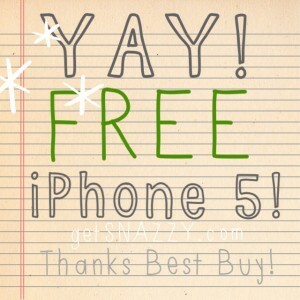 Leave a comment at the bottom! Ask friends that have babies to tell you what labor, delivery and the first weeks (months) are really like. People don’t talk about the craziness because they want to be “Super Parents” Ask for help! Meeting your new baby is the coolest thing! Give your camera to your hubby to take first moment pictures, get some as a new family too. After delivery, stay on top of your medication schedule, don’t try to be a hero and skip pain medicine doses. Ask the nurses about every medicine that you are being given. Ask them to come back if you aren’t sure about something so you can research it. For example, I was itching and they wanted to give me Benadryl, I really didn’t want to take it because my milk hadn’t come in yet. They were able to find something else that I could take. Ask about other options, be your own patient advocate!! Get up and walk as soon as you can. Even if it’s just around your room. Then make it a point to walk a little more each day. It will help in the long run. Bring a thank you for the nurses (we baked cookies and bought some mini-candy bars) We kept them in our room and everyone that came in got to enjoy a treat. I think we got some extra blankets because of it Trail mix or fruit would be good too. Bring an empty folder to put all of your important forms and paperwork that you get at the hospital. I packed pretty well this time- http://www.getsnazzy.com/2011/08/hospital-bag/ I still had too much stuff, but better too much than not enough. Remember to show Dad where a few of your things are that you might need on the first day; you won’t feel like getting out of bed. Loose clothing – I packed a couple of button down sleep shirts that are great for nursing and made me feel better than the hospital gown. Gaucho pants and extra-large silk pj pants/shorts were great too. Nursing bras and big undies (I didn’t ever buy special maternity underwear, I just bought some cheap ones in a few sizes larger) The hospital usually provides fancy mesh undies, you might use them instead. Baby book or scrapbook page for guests to sign! I made this one for my daughter and add the birth announcement later. Going home outfit (I wore what I wore to the hospital when I had my daughter- you will still need maternity clothes) A dress or something loose will be especially important if you have a C-Section. Going home outfit with socks and a hat. Scratch mittens are a plus. The hospital usually provides diapers and a pacifier. Baby doesn’t need much. If all else fails bring the car seat! p.s. If you have other kiddos make plans for them early and pack their bag now! It will be too crazy the day of delivery to worry about them too! Snacks (for the hospital and at home) I was starving at the hospital in between meals, luckily the nurses had a lot of snacks! We gave big sister a baby doll at the hospital from her new brother. She loves taking care of it. Meet with a lactation consultant at the hospital, ask lots of questions and take notes! When your milk first comes in it can hurt. Put a warm towel on you for 5 minutes before you nurse to help. Medela has an app- iBreastfeed It is a good way to keep track of which side you were on and how many minutes on each. Another simple way is the wear a bracelet or rubberband on your wrist and switch it when you switch sides. I was taught to feed on one side (main dish) for about 20 minutes, then burp and switch to the other side (dessert) for as long as they will eat (usually under 20 minutes). Then next feeding start with the dessert side, so you are always rotating where you start for the “main dish” Eventually I switched to just using one side per feeding (no dessert side), but that’s a few months later. Eat snacks that are high in protein at every feeding and drink plenty of water! Peanut butter, cheese, yogurt, protein bars, etc. A lot of ladies are in baby weight loss mode immediately, but you will feel AWFUL if you are breastfeeding and not getting enough protein. I read a lot of books with our first kiddo and have taken bits and pieces of advice from them. You have to do what works for you and each child. Here are a few of my favorites. The book is a little overwhelming and more like a textbook, so I read it in sections and come back to refresh as needed. Swaddling- Tight swaddling provides the continuous touching and support the fetus experienced while still in Mom’s womb. Side/stomach position – You place your baby, while holding him, either on his left side to assist in digestion, or on her stomach to provide reassuring support. Once your baby is happily asleep, you can safely put her in her crib, on his back. Shushing Sounds- These sounds imitate the continual whooshing sound made by the blood flowing through arteries near the womb. This white noise can be in the form of a vacuum cleaner, a hair dryer, a fan, white noise CD, etc. Swinging – Newborns are used to the swinging motions that were present when they were still in Mom’s womb. Every step mom took, every movement caused a swinging motion for your baby. After your baby is born, this calming motion, which was so comforting and familiar, is abruptly taken away. Your baby misses the motion and has a difficult time getting used to it not being there. “It’s disorienting and unnatural,” says Karp. Rocking, car rides, and other swinging movements all can help. Sucking – “Sucking has its effects deep within the nervous system,” notes Karp, “and triggers the calming reflex and releases natural chemicals within the brain.” This “S” can be accomplished with breast, bottle, pacifier or even a finger. ASK for HELP! You can’t lift anything heavier than your baby for the first 2 weeks and won’t feel like doing a lot. Ask someone to bring a couple of meals or have some take out menus handy! Freeze some meals so you have something good to eat with little prep! Usually you aren’t supposed to drive until 2 weeks after delivery, so make arrangements to get to doctor’s appointments, have someone go to the grocery store, etc. Schedule newborn pictures (or take your own) within the first 2 weeks before baby gets too active. Wear simple colors, no bold patterns. Look up some favorite poses before your session. Kid’s consignment shops often have great deals on clothes that are almost new! 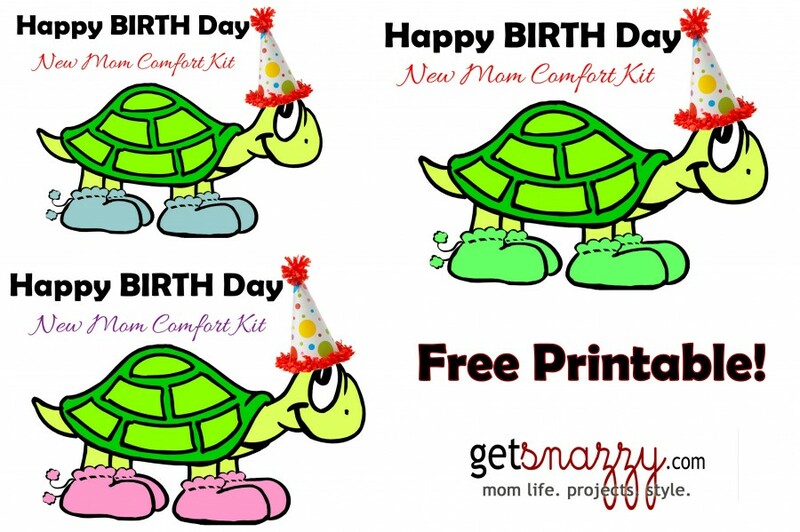 Buy gender neutral big ticket items (car seat, stroller, high chair, pack n play, etc.) These things are expensive! Buy some extra pink or blue clothes or blankets with the money you save from not having to buy new big items. Check out Amazon Subscribe and Save or Prime. It is awesome not to have to haul boxes of diapers, toilet paper, detergent, etc. Enjoy every moment, it goes by FAST. Need a baby shower gift idea? 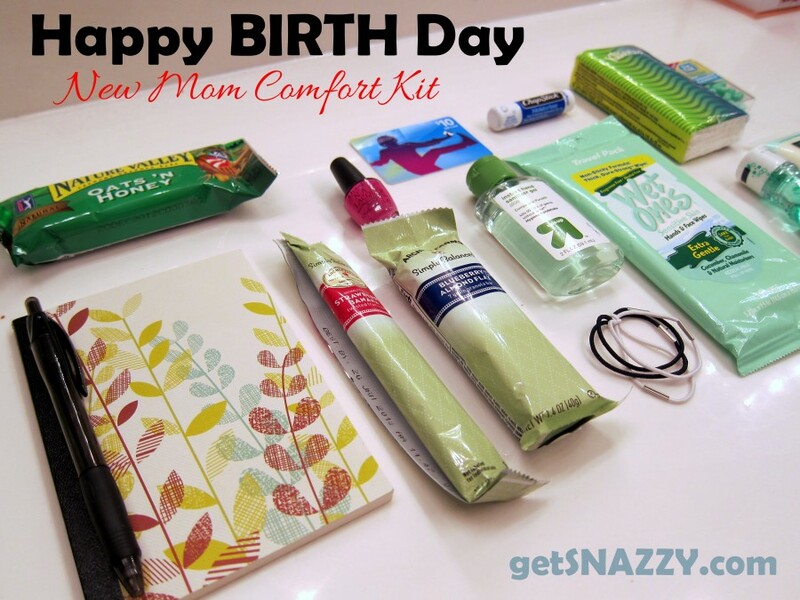 I made this Happy BIRTH Day – New Mom Comfort Kit. 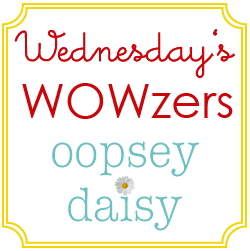 UPDATE: I wish I would have known about Young Living Essential Oils before my babies were born. Read my Oily Story here. p.s. Peppermint essential oil can decrease milk supply, so use it sparingly. Strange – TMI tip – if you put a drop or two of peppermint oil in the toilet (or on your stomach) it can help you go to the restroom (which they will make you do before you leave) Fennel essential oil can help boost milk supply. Lavender is awesome for so many things! Our pediatrician was so intrigued to learn about all the different uses of essential oils. This is helpful book too – Gentle Babies is a helpful reference guide – check it out my book recommendations here. Important: Before I started using Young Living Essential Oils I didn’t know there as a difference in types and brands. Did you know that some other companies (especially cheaper grocery store/health store brands) only include 5% essential oil and misleadingly label them 100% pure? I trust the seed to seal promise of Young Living. Ask if you have any questions! Welcome to parenthood! What are your favorite baby things/advice? 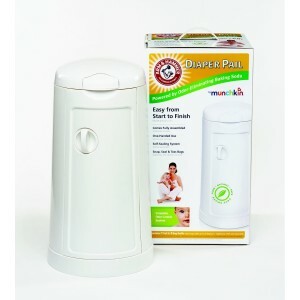 We received the Arm and Hammer Diaper Pail by Munchkin as a baby shower gift. Since baby boy isn’t here yet, we decided to test it out with our little girl. Seems silly to give such a glowing review of a diaper pail, but it really works and eliminated the gross diaper smell from the nursery. I would buy another one, but potty training will be happening soon so this one will be great for both kiddos for a bit. Have you had the same great experience?